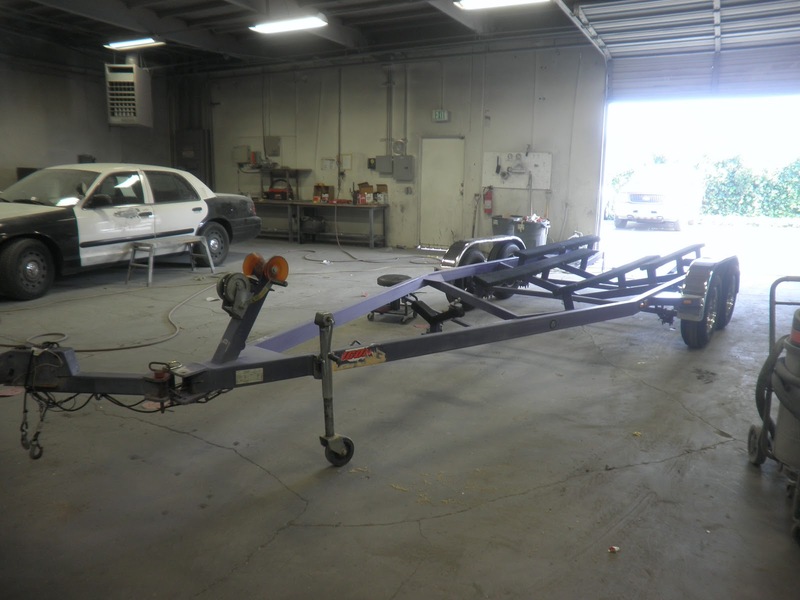 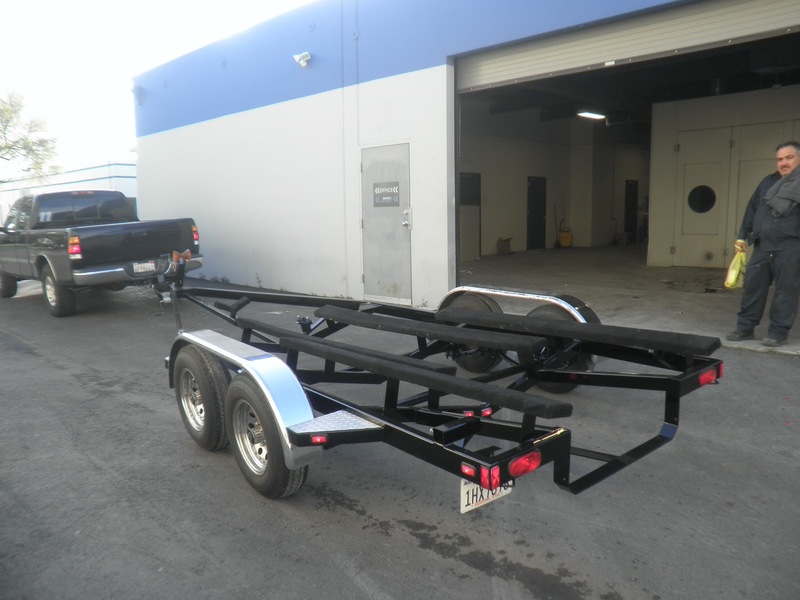 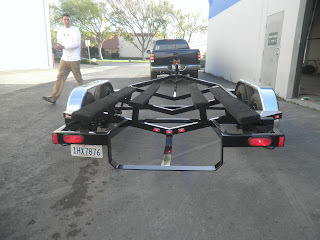 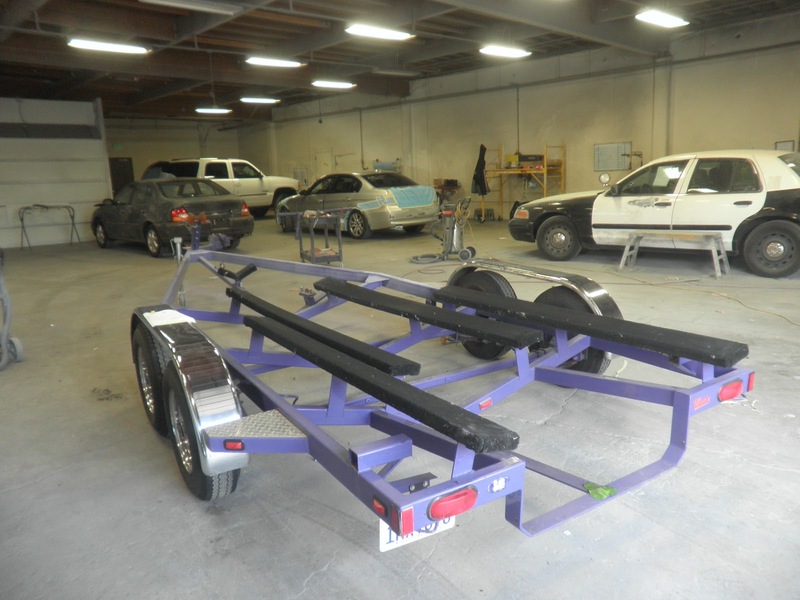 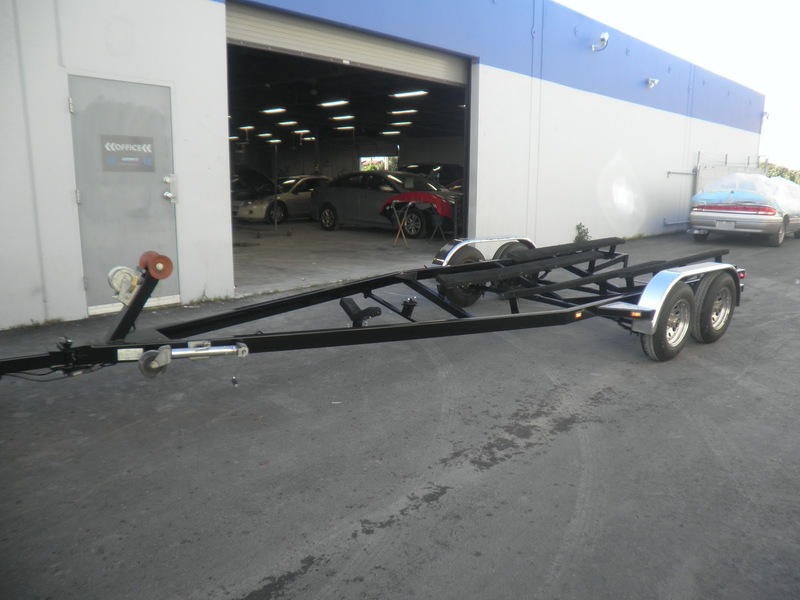 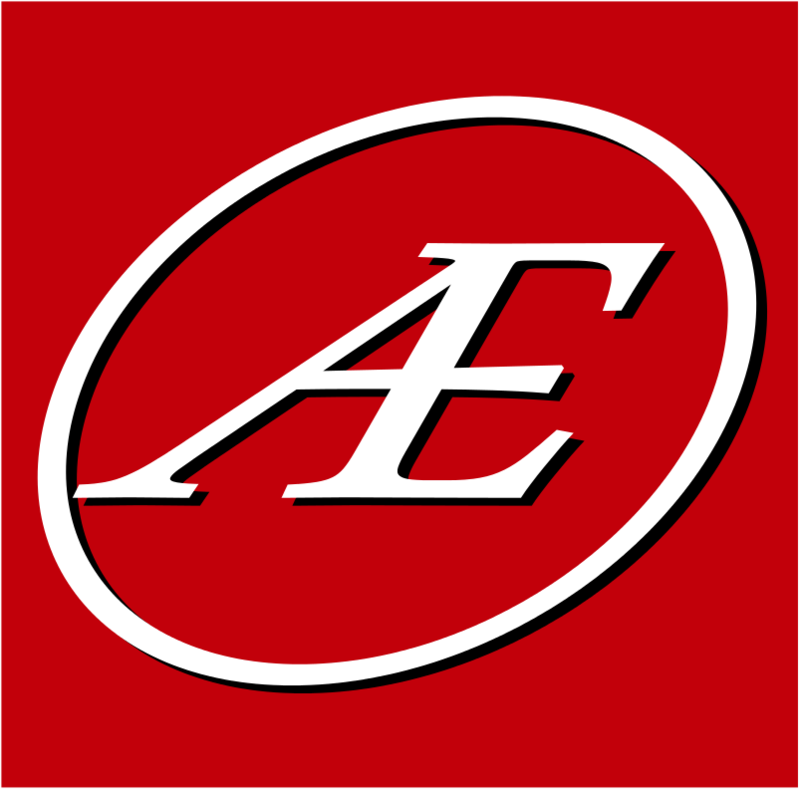 Auto Body-Collision Repair-Car Paint in Fremont-Hayward-Union City-San Francisco Bay: Boat Trailer? 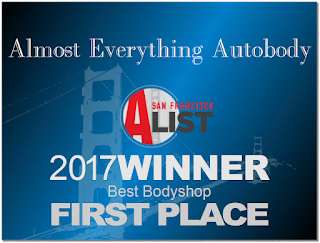 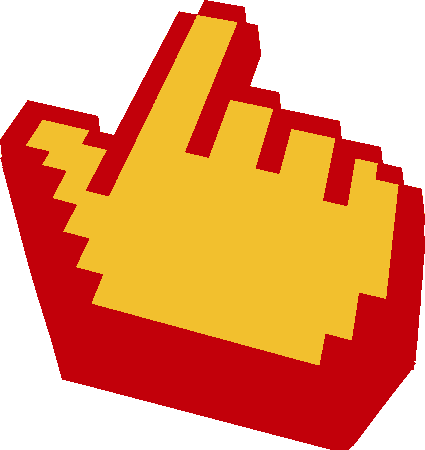 Sure, What Else You Got? 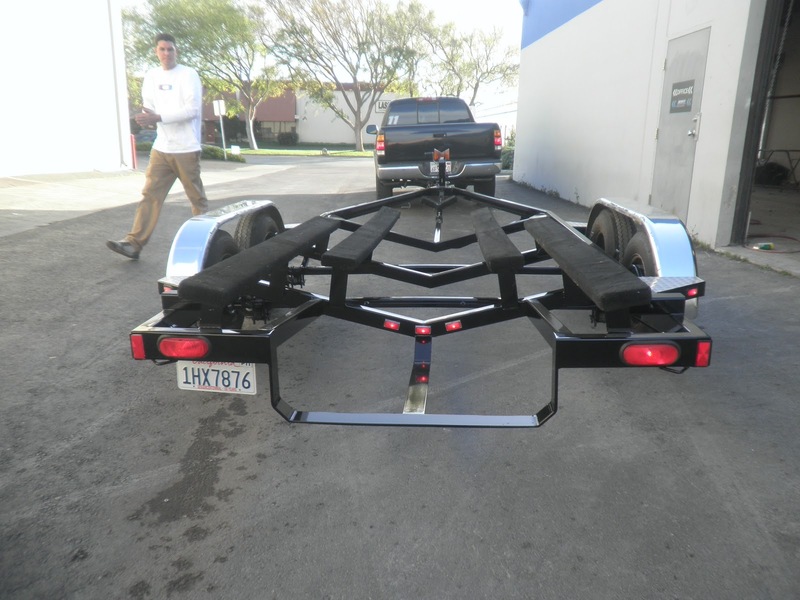 Today's Car of the Day isn't a car at all. 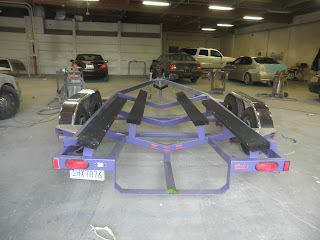 The boat trailer was chipped-up, rust was taking root and purple just didn't seem as cool as it once did. So the owner had Almost Everything repaint it black.